Here are a number of questions that we get about the divorce mediation process. If you don’t find the information that you’re seeking here, please Contact Us through our contact form or call 612.599.8366. Without a judge or attorney, how do I know I am getting what I deserve in the divorce? I was never involved in the finances during our marriage. How do I know I will be financially protected in my divorce settlement? We are in constant conflict. How can we mediate our divorce when we can’t communicate without fighting? My spouse did terrible things throughout our marriage. Does this mean I can get more money or parenting time in the divorce? We both have hired attorneys and started the litigation process. Can we still mediate? How do I know what I am agreeing to is fair? Doesn’t a judge need to decide? Will I have to pay child support and/or alimony? Is mediation another form of therapy? How do I choose a divorce mediator? We have already agreed on everything. Do we still need a mediator? We are already divorced but still disagreeing. Can mediation help us? We meet in two hour sessions to work through all parenting and financial issues until a settlement is agreed upon by the two of you. I will guide you though all the issues to be decided, keep the environment respectful during your discussions and make sure you have all the necessary information to make fully informed decisions. The terms of the settlement will be spelled out in the legal paperwork to file with the Court. See the “About Mediation” section for more details. Most divorces can be settled in 3-5 two hour working sessions. Sessions are usually scheduled about two weeks apart but can be scheduled as close together or as far apart as you prefer. Typically the entire mediation process can be completed in less than 90 days. This varies depending on the number of sessions needed to reach a settlement. I charge an hourly rate less than most divorce attorneys, which the two of you split. I do not ask for a retainer. In almost all cases, divorce mediation is significantly less expensive than the traditional legal process. In fact, most mediated divorces cost less than what just one of you would have to pay to retain an attorney. It is up to you whether or not you hire an attorney. People sometimes seek the advice of an attorney for help in making decisions during mediation. Occasionally people bring their attorney with them to mediation sessions. However, the vast majority of people choose to mediate without an attorney. The decision should be based on what you feel most comfortable with and what you can afford. Most people believe there is an objective, over riding formula in the legal system for what each spouse is entitled to in a divorce. This is not the case; divorce is not an exact science. In mediation you and your divorcing spouse can make these decisions together rather than put them in the hands of a judge who may or may not understand your unique situation. Erin also encourages you each to seek independent legal advice once you have made tentative agreements to ensure you are getting a fair settlement. All financial information is verified and documented during the mediation process. In other words, both parties provide “proof” of their bank accounts, salary, retirement accounts, etc. The mediator explains all the financial information in common, everyday language so you completely understand the facts. This will allow you to make informed, well thought out decisions. Yes. All the agreements you make in mediation will be used to create the Joint Petition and filed with the court. Erin works with an attorney who charges a reasonable flat fee to draft the paperwork. The decisions made in mediation become legally binding once the Joint Petition is signed by both of you and submitted to the court. Is my case too financially complicated for mediation? No. Even if you own your own business, have a lot of debt or considerable assets you can mediate your divorce. If necessary, we can bring in a neutral CPA, tax attorney or financial planner to make sure you have all the information you need to make knowledgeable decisions. Conflict is a part of every divorce but certainly some divorces are more conflicted than others. Erin is specially trained to help you navigate your divorce regardless of the level of conflict. Sometimes this means you will be in separate rooms. Sometimes people want to use the divorce process to punish their spouse. They believe hiring a tough attorney and going to court will accomplish this. However, what happened during the marriage is not considered in divorce proceedings because Minnesota is a “no-fault” divorce state. This means that in most cases, the law does not allow compensation to either party for the others misconduct. In reality going to court will not punish your spouse and will likely leave you emotionally and financially devastated. Yes.You may be spending a lot of money on lawyers and not making much progress in settling your divorce. Or you may just want to try something new to see how it works. Whatever the case, you can put your litigation on hold and come to the mediation table together. Often couples can accomplish more in one mediation session than they have during months of litigation. You are welcome to invite your attorney to come with you to mediation, or come alone. You determine your own standard of fairness in mediation so you know it is fair for you. The mediator will point out if either party is agreeing to something blatantly unfair. Erin also encourages you each to seek independent legal advice once you have made tentative agreements to ensure you are getting a fair settlement. Less that 5% of divorces in Minnesota are decided by a judge. The court requires couples to use some form of Alternative Dispute Resolution (ADR) before it will hear their case. 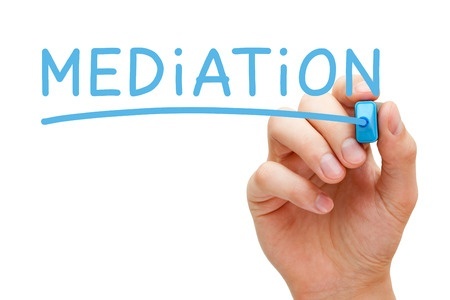 Even if you litigate, you will likely end up mediating at some point in the process. The Minnesota Child Support Calculator is used to determine child support, although couples can decide to deviate from this if it is in their children’s best interests. Spousal maintenance may be agreed upon, especially if there is a large disparity in income. The length of your marriage is also a determining factor. All income and assets will be carefully examined to make sure you have the information you need before making this determination. Mediation is not therapy. The goal of mediation is to resolve the practical “business” of divorce so you can move forward in the healing process and get on with your new life. People often find mediation therapeutic because it helps them move on and gain control of their lives. Absolutely. Even if you discontinue mediation, what is said by each of you in session cannot later be used in court. The divorce mediator walks you through all the practical decisions you need to make while maintaining an open, safe environment. Before any agreement is made, the mediator makes sure you have all the information you need to make an informed decision. Mediators also help you and your divorcing spouse focus on the best future for you and your children. Use the same common sense and due diligence you would to hire any professional. I invite you to meet with me in a free one hour information session to see if I might be a good fit for you and your divorcing spouse. Yes but you are likely to save a lot of time and money. If you have already agreed on most issues, the mediator will ensure you both have all the information needed and thought through all the necessary details before you finalize the decisions in your Joint Petition to file with the court. The financial and parenting issues involved with splitting up are the same regardless of legal marital status. Mediation is often used by non-married couples navigate through the break-up process. Yes, regardless of whether you mediated or litigated your divorce. Frequently there are continuing disagreements after divorce, especially when you are co-parenting together. As children grow, parenting time and financial needs often change. Divorce mediation can help you navigate through these issues until you reach an agreement. If either of you are considering filing a post-decree motion with the court to settle the dispute, be aware the court typically requires mediation before it will hear your case. Mediation is always voluntary. If you are not happy you may stop mediating at any time. We hope that we have answered your questions here. If you have any other questions about Divorce Mediation in the Minneapolis, MN area, please feel free to contact us through our contact form or by telephone at 612.599.8366 for a confidential conversation.